Hotel Korčula is the first hotel ever built in Korčula, dating back to 1912, when tourism and travel was privilege of wealthy European middleclases. As such, it has great historical significance for this beautiful Croatian island, with many celebrities, royalty and global political elite visiting this famous hotel. 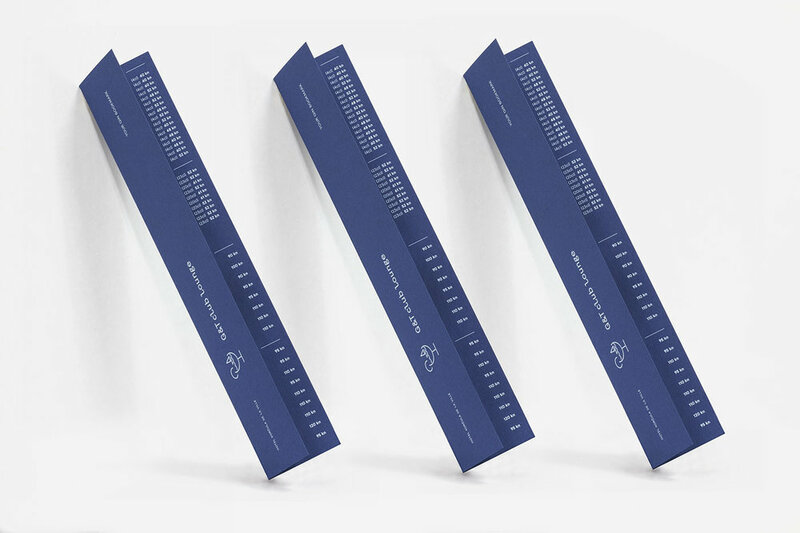 We were invited to design the visual identity and a bilingual menu system for their two establishments; G&T Club Lounge which serves the best gin and tonics, and Brasserie, a premium restaurant. Both use the hotel’s amazing location and feature terraces and interiors freshly redesigned by Kaliterna Arhitektura. The idea for the two intersecting circles on the covers represents a view into history, as if looking through the monocular from the ship approaching the island. Effectively, looking into the hotel's past. 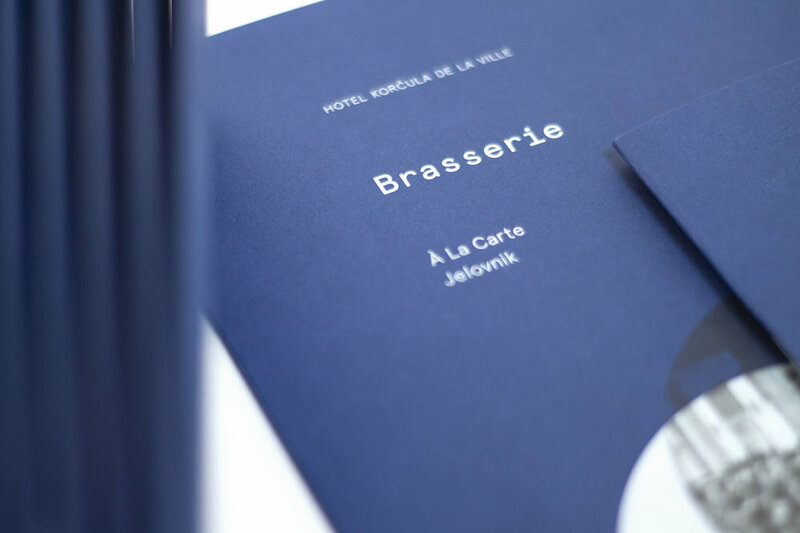 Menu covers are printed on a deep blue card paper, to stand out against the white stone surroundings and appeal to the yachting crowd, its primary target.